A thunderbird arrowhead necklace is crafted from an agate stone. 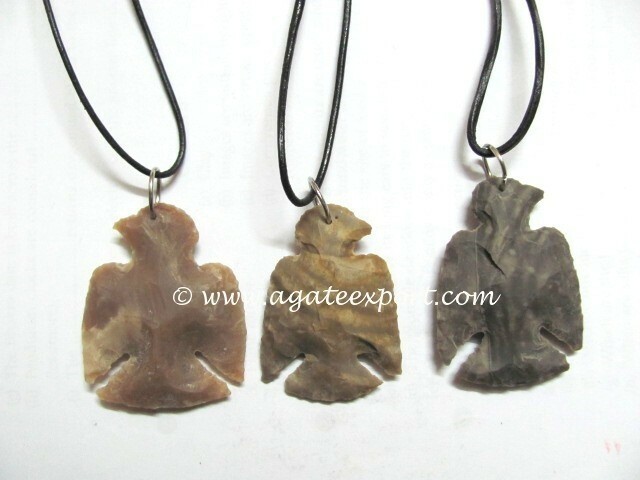 This necklace will have properties of agate stone. It will take in all negative energy and give out positive ones. It is available at Agate Export.